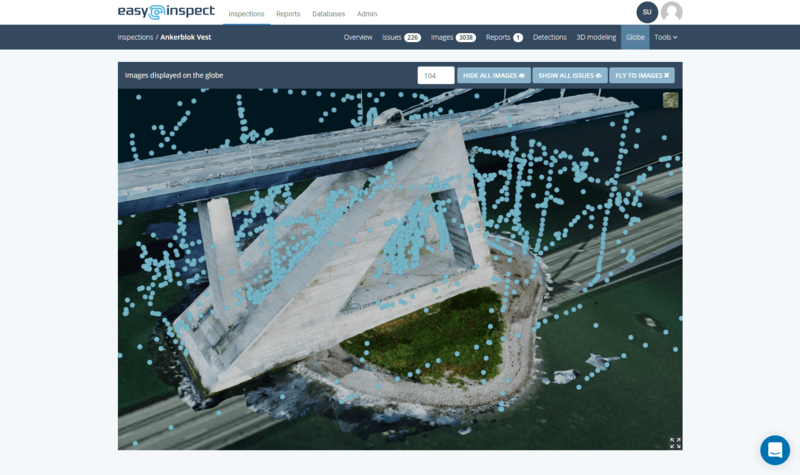 Bring value and insight to your drone based inspections with Inspection Cloud. Our data warehouse brings structure to your data with automated processing, analysis, and reporting. 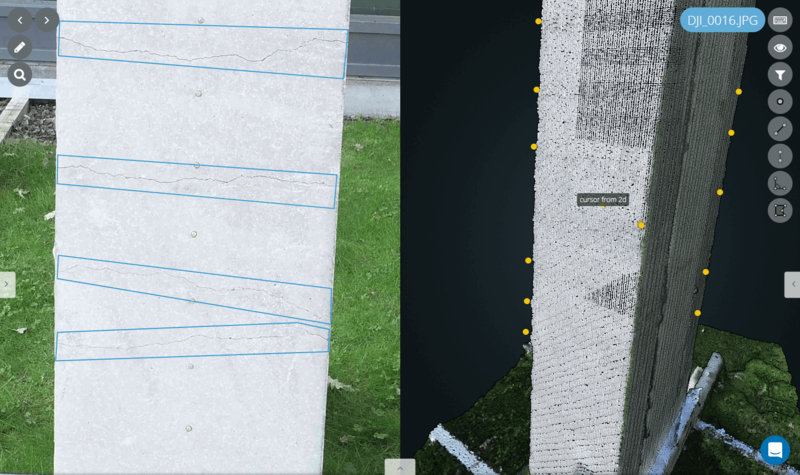 Find the exact size and location of damages with real-time synchronization between 2D and 3D. Our AI is trained for various scenarios and can swiftly review all of your images. When a potential problem is detected, the AI marks the problem with an annotation. 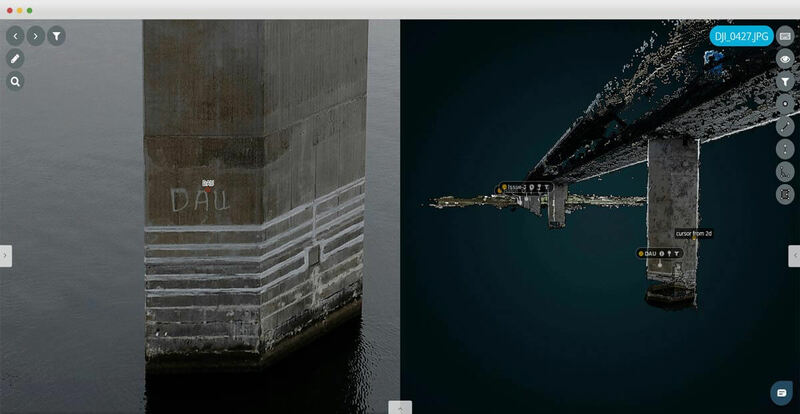 If the AI detects the same issue across several images, it will automatically link them together to present a list of unique damages if a 3D model exists. You always know what you are looking at with 3D modeling. Our 2D/3D synchronization shows you exactly which part of the structure you are looking at, even when looking at close-up images. 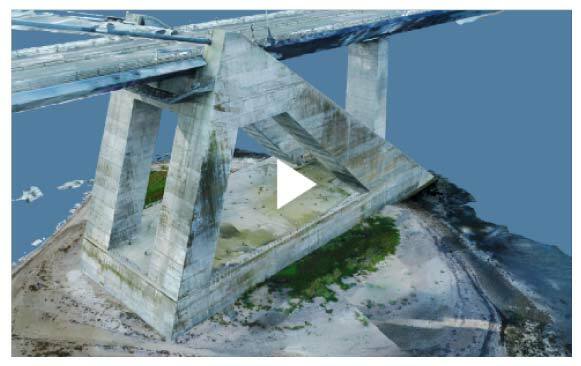 3D modeling enables measurements in your inspection data from both 2D images and 3D data, which enables you to work in high definition images to get the best from both worlds. In 1 day, our artificial intelligence detects the same number of observations as it will take 1 year for a human being. The AI is trained for various scenarios and can swiftly review all of your images. Data is normalized and enriched with processes like 3D modeling and Computer Vision and provides a solid foundation for data fusion. Your data is secure and owned by you no matter if it’s stored it in the cloud or your datacenter. 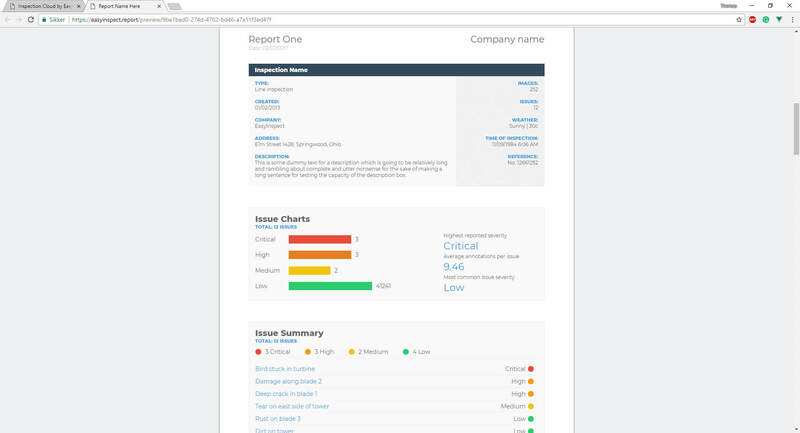 Create reports with all relevant information in an instant, either as an interactive online report or as a PDF with the report module. 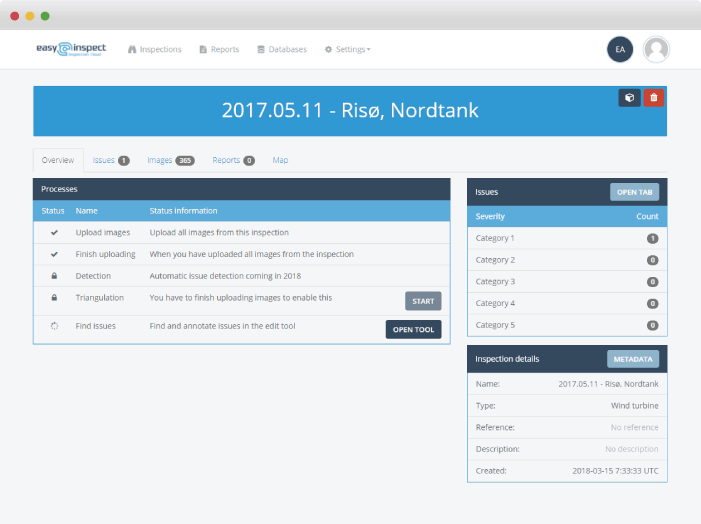 Make your own templates with the customized report builder and structure your reports exactly as you want them. Utilizing the customized report builder will also allow you to integrate your metadata and databases directly into your reports. Ready to try it out? Start now!